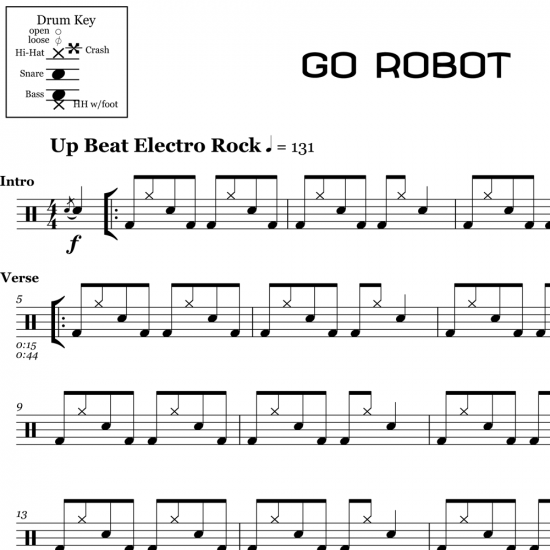 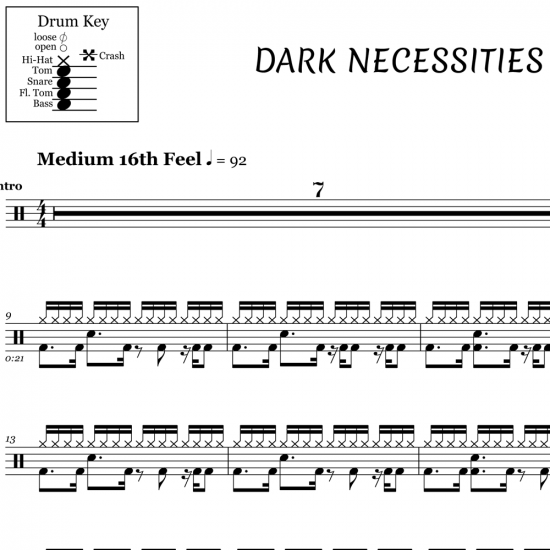 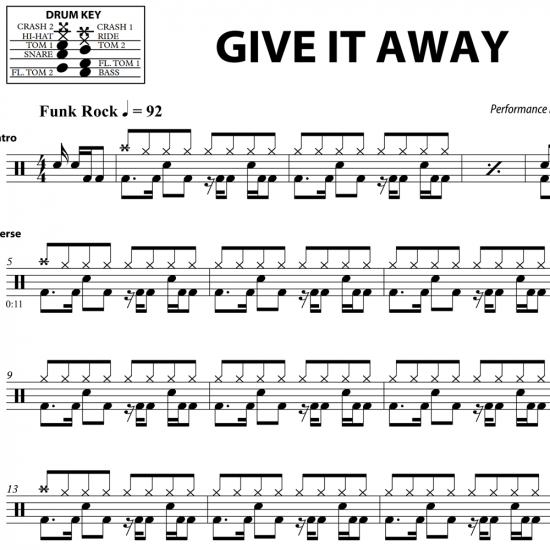 View cart “Give It Away – Red Hot Chili Peppers – Drum Sheet Music” has been added to your cart. 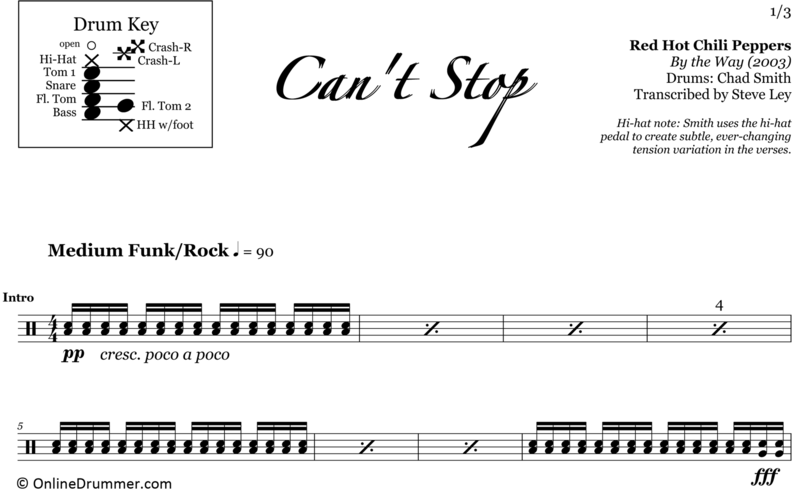 The full drum sheet music for “Can’t Stop” by Red Hot Chili Peppers from the album By The Way (2003). 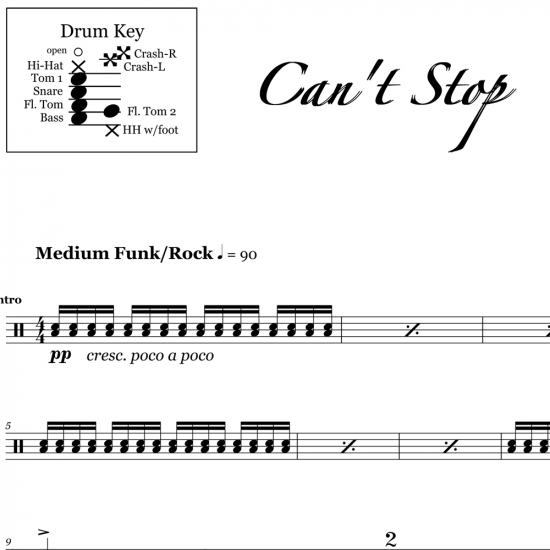 The song begins with an eight measure build-up that gradually increases in intensity to a full-force stop on the down beat of bar 9, when the main guitar riff kicks in. 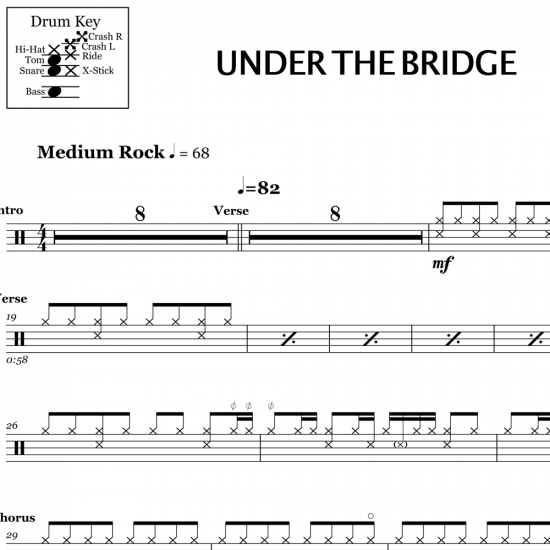 After four bars, drummer Chad Smith launches into his own brand of funky, rock-styled groove, complete with accented back beats, ghosted snare notes and unexpected hi-hat slurps. 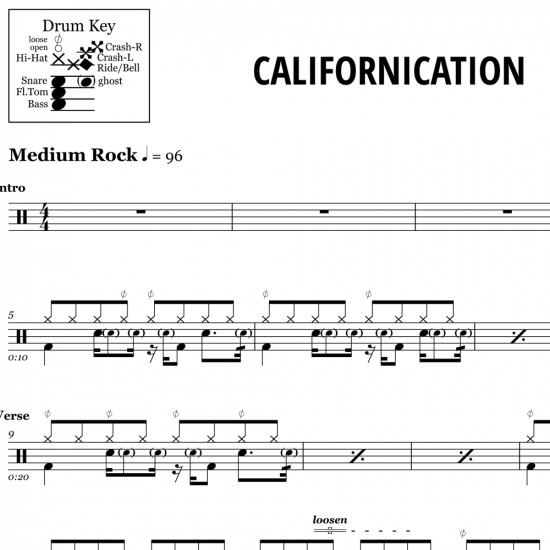 Constantly varying hi-hat tension is employed in the verses, providing rhythmic and textural interest behind Anthony Kiedis’ rhythmically static vocal phrasing.